Blame it on naiveté, misinformation, or simple ignorance, but many job seekers are going about trying to “stand out” in the wrong ways. Of course the goal of a resume is to demonstrate how a given candidate stacks up against competing applicants and hopefully shows what makes a particular candidate unique, but there are definite wrong ways to go about getting noticed. Some of the following details may seem small, or even trivial, but avoiding this list of mistakes on your resume can go a long way to ensuring a hiring manager gets a complete picture of you as a candidate, without noticing any amateur mistakes. First off, don’t mistake your resume for a Curriculum Vitae (CV). 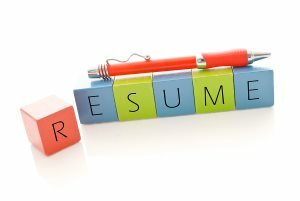 A CV is a more comprehensive and technical document than its cousin the resume. Your resume should rarely (if ever) run longer than 1 to 1.5 pages in length and the shorter the better. Most of the time, information that can’t fit on a single page is superfluous and does not contribute anything of importance that can be effectively used to weigh a candidate against his or her peers. Most of the information a hiring manager needs can be condensed into one page, and usually about half that. So, not matter how many more accolades, experiences, and interests you want to throw into the document, fight the urge and keep it to no more than one page. Next, understand that resumes are not creative documents and shouldn’t be treated as an art project. The point of a resume is to give a hiring manager a quick overview of your qualifications and education; they want to know what makes you the most qualified and prepared candidate in the bunch. The cleaner and simpler the format (meaning efficient use of bullet points and numerals only) the better. Colorful backgrounds and fonts and unconventional layouts are not considered professional and can lead to an applicant being completely disregarded as a job candidate. One of the goals of the vetting process is to ensure an applicant is enthused and excited about working at a particular company. No matter how impressive your resume, if you aren’t perceived as someone who wants to work at the company you probably won’t get an offer. One way to show a hiring manager that you couldn’t care less about their company is to omit the name from your cover letter. Personalize those cover letters folks, and give each employer the respect of identifying them by name. The final two mistakes are two sides of the same coin: spouting nothing but generic platitudes about or insulting a company. Every interviewer knows that their company isn’t perfect and can always be improved, so never patronize an employer with unending and empty praise. On the opposite end, you should also never insult a company for which you are being interviewed, meaning be careful at your language as not all insults are blatant or intended. Using dismissive or diminutive language about a company’s placement in the market, for example, is a big turn-off. Creating your resume to portray a positive attitude, a healthy understanding of a company’s successes and where it can improve, and professionalism will go a long way to persuading an employer to take you seriously and better appreciate what you have to offer.